I started getting texts a week ago from friends saying they saw me in E-Mill Magazine. But it was finally delivered to my apartment the other day. That’s right, I’m in this month’s E-Mill Magazine a lot! If it came to your house, check it before you throw it out! Actually the shoot for this took place in May, but I couldn’t post pictures until the release. 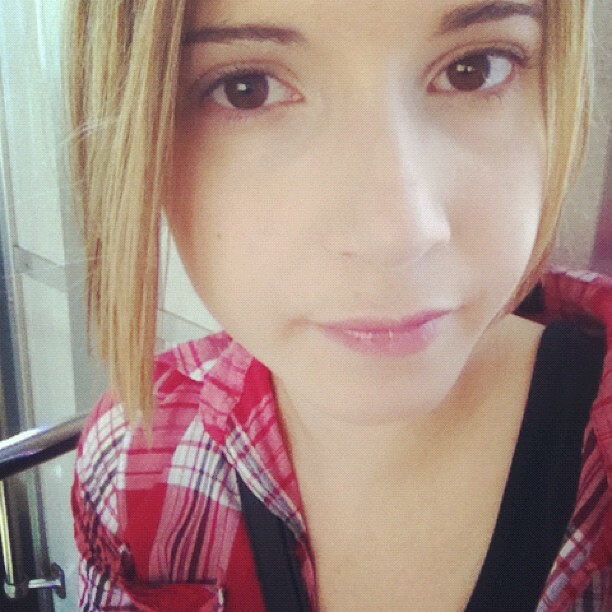 First I woke up early, and got on the train with no makeup on. Then I got into the first Yukata, and waited for my turn in Hair & Makeup. Actually, I liked this Yukata the best. I think that white clothing is the best color for blonde hair. We did the shoot for the cover, and a few pictures for the “How-To” for the hairstyle. Then I got to wear the second Yukata. The Obi is very nice, isn’t it? The hardest part, was that we weren’t allowed to sit down with the Yukatas on. The reason was to prevent wrinkles in the Yukatas before shooting. So by the time we changed to the third Yukata, I was really tired. The last shoot was done outside. It might have been because it was the last, but it was the most fun. Anyway, I had a really fun day. I was really happy they called me. I also made a video about this, so if you wanna watch, here it is! So it’s almost July, I can’t believe that 2012 is half-over already. Time really flies when you are having fun, eh? Posted in Fashion, fukuoka, japan, Only In Japan, Tokyo, TraditionTagged ミカエラ, モデル, ローカル, ciaela, 福岡, E-Mill, Eみる, E見る, fukuoka, In, japan, Magazine, Micaela, Model, Yukata, 日本, 浴衣, 九州Bookmark the permalink. I think the Hanbok is pretty though! Like a nice red dress! I just went to a one of the biggest summer festivals in Japan. It was a yukata festival and about 75% of all visitors wore a yukata. I decided not to wear one (*cough cough* … actually I can’t dress up myself without help …). 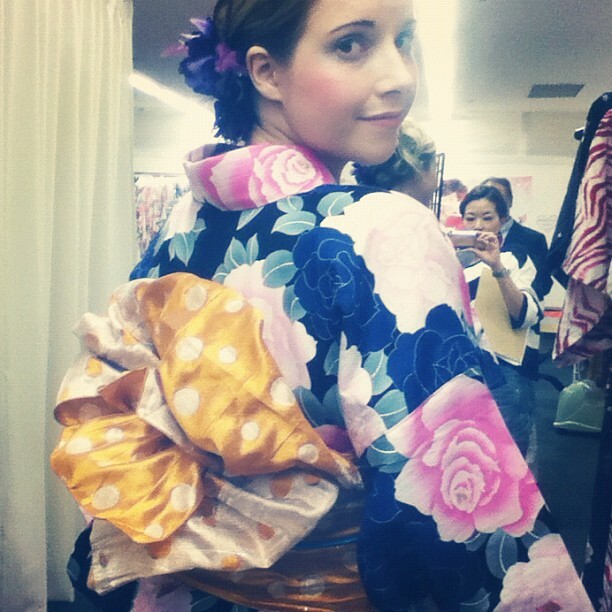 I also wore a kimono once and it’s really, really tight! I was so happy when I got out of it again, but it was beautiful and a great experience! OH! I am glad you clarified, I didn’t realize you were the same person! Hahaha. I’m going to stalk your blog now and try to find pictures. Thanks for the comment! I just started that new blog recently, because my Livejournal just wasn’t the right platform for that anymore. Wow! You look great without makeup. I don’t like yukatas, but the video you made was fun! Hi,Micaela.I really like your blog,youtube.You so cute and hard worker of study Japanese.Great.Your Japanese is almost perfect! Hello^^Micaela.I comment for the first time. I can’t speak English but I Challenge writing in English! and I ask you to sing it in English! Ｉｆ　you have free time. love your Blog Mikaera, check this out too! You look beautiful without any makeup on! Oh, how I envy you.